Embarcadero Center is getting a facelift. In the coming weeks, the center’s owner Boston Properties will start renovations to build new lobbies on the second floors of 1,2, and 3 Embarcadero, while the lobby in 4 Embarcadero Center will be redesigned. 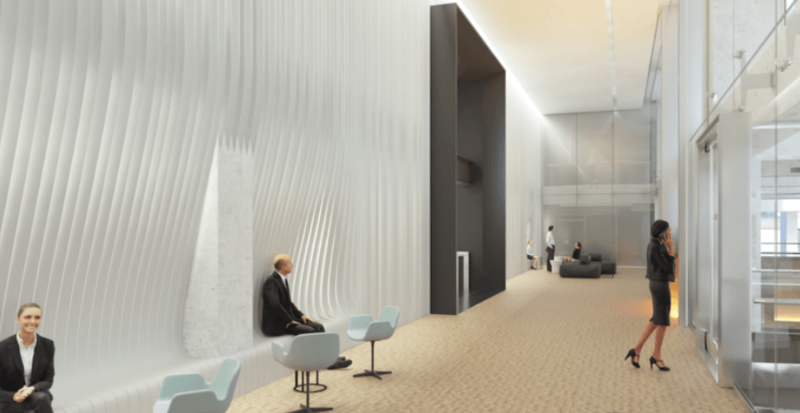 The new lobbies — about 2,000 square feet each — will make it easier for tenants and visitors to find where they’re going and encourage meetups, said Doug Zucker, principal in charge of the project for architecture firm Gensler. They will also provide a layer of security to office buildings that, in their current form, can be accessed by anyone from the elevator bank. “We’re looking at how to create an entry experience for these office buildings that are buried on the second floor of a retail center,” Doug Zucker said. Although the Embarcadero towers have cut across the Financial District skyline since their construction began in the 1970’s, accessing offices from the retail portion of the center can be confusing. To change that, the escalator and stairs between the second and third floor will be removed, leading people directly up to the new lobby spaces from the ground floor.